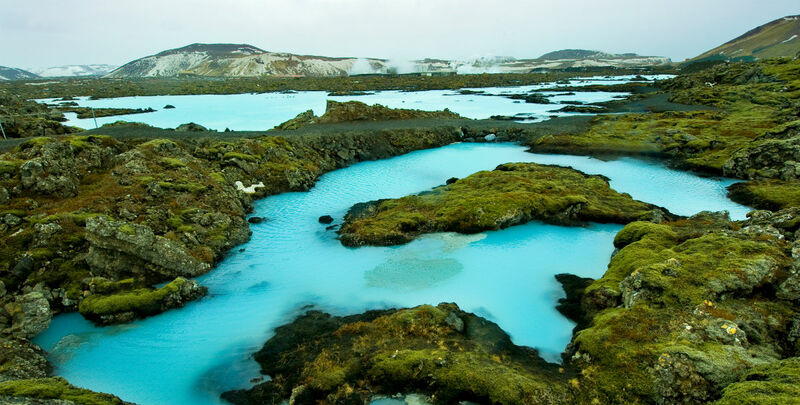 It’s Wanderlust Wednesday again and today I want to talk about Iceland. 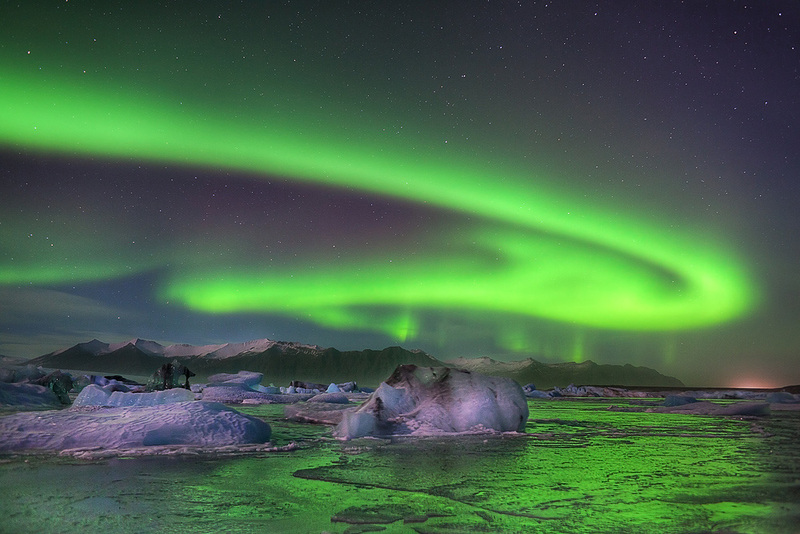 Iceland is one of my dream destinations, with its dramatic volcanoes, waterfalls, amazing winter landscape and, of course, if you go at the right time of the year, the Aurora Borealis. What would I do when I went to Iceland? Well, you can’t always count on seeing the Aurora Borealis – some of my rellies were there for 2 weeks and never saw it at all, at the specific time of year when it should have been at its best. For that reason, I wouldn’t go to Iceland just for that, and I wouldn’t depend on seeing the Northern Lights as a make-or-break the trip kinda thing. You can climb it. 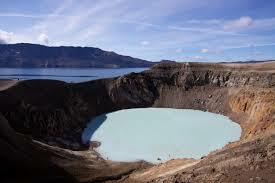 Not only that, but once you’ve climbed inside this amazing volcanic crater, you can totally swim in that. But if you do it first then Blue Lagoon will be a teensy bit anticlimactic. 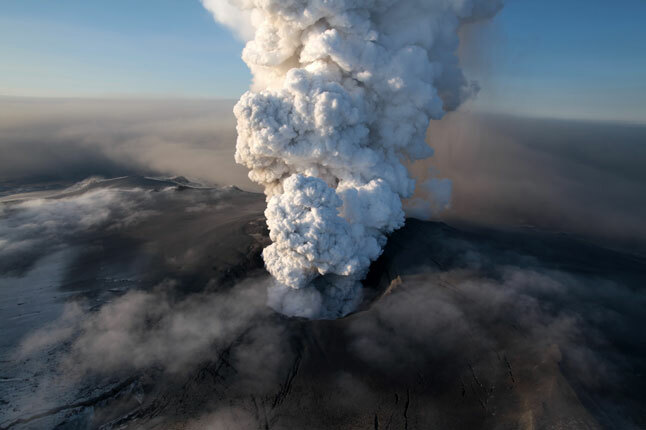 More info on Askja. I’d probably be fairly tired of swimming after all that (I’m not a great swimmer to start with and I’m terrified of specifically shaped swimming pools – don’t ask me why, it only makes sense to me. Needless to say that when I was in Sindelfingen I was clinging to the side like a limpet nearly in tears). So I’d go do some museuming after that lot, with a visit to the Culture House in Rejkjavik, where you can find The Sagas of Icelanders manuscripts alongside modern Icelandic art. Guided tours in English are at 2pm! Find out about opening hours and ticket prices here (it’s in Icelandic Krona so you may need a currency converter). Other Icelandic museums worth visiting in Rejkjavik include The National Museum of Iceland (Thjodminjasafn) which covers a lot more of Iceland’s thousand-year past. If you’re anything like me and love a good romp around the geological and non-human aspects of a place, The Natural History Museum of Iceland might be for you. I would certainly love to go there, as its British equivalent is one of my favourite places to go in London. 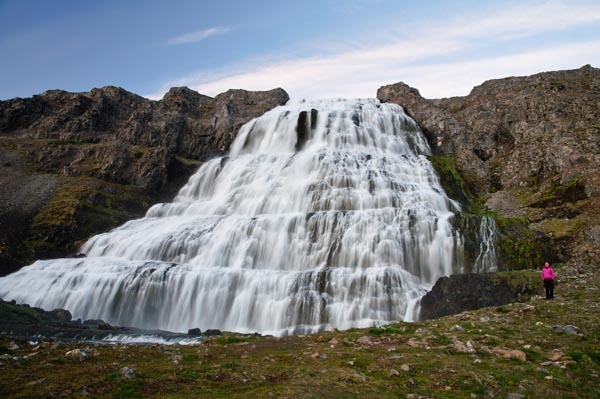 After all that indoor stuff, I’d probably want to get out again, this time I’d go for some of the world-class waterfalls, a handy top 10 list of these can be found here (with stunning photographs). To round up my visit, (if I had enough money to spare – it costs 39,000 Icelandic Krona which I just converted, is about £202 British Pounds), I’d want to top my visit off with a trip into the heart of a dormant volcano with the “Inside the Volcano” tour (it’s one of those guess the hidden meaning names, amirite??). There’s a video and full tourist details here. It’s not for the faint hearted/people with a fear of depths (heights? )/claustrophobic though so it’s probably not for everyone, but for me it would be a truly stunning experience to round off the rest of the trip. That’s my take on what I’d do in Iceland if I ever get there: What would you most like to do in Iceland? Have you been? Next Next post: SCIENCE! Video issues and stupid internet connection.